Why unusual? Apart from the melody and lyrics, the song is essentially two measures repeated for four minutes. How does Brian pull off an entire song [that’s not hip-hop] by repeating two measures? How does he create an arc that makes you feel like the entire song has taken you on a journey, without adding any harmonic contrasts? There’s several answers to these questions, and they provide great food for thought about different devices that can elevate a song to greatness. There is a quiet restraint to the entire production. It begins with a drum loop which sets up the hypnotic feel of the song. In the background is some very subtle out-of-the-way wah guitar that adds a touch of organic-ness and a feeling of abstract aimless noodling. Above all, there is a naturalness to the lead vocal. The melody and lyric are evocative. 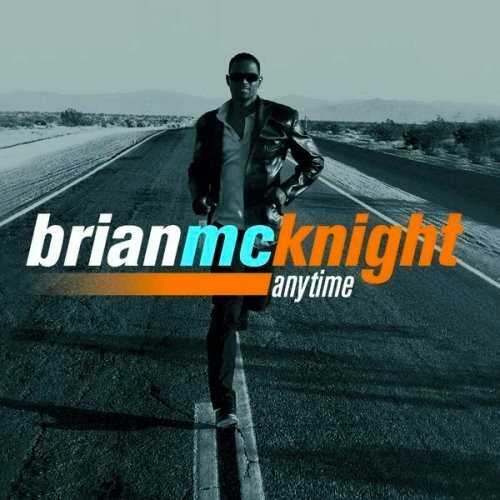 Brian is one of the finest R&B singers in the world, and his voice compels you. Though the subject matter is depressing, he takes you into his heartbroken world from the first, hammer-like monotone phrase (“can’t remember why we fell apart”) which then connects to the chorus (“do I ever cross your mind, anytime?” at 0:59). Some vocal lines are subtly doubled, for example, at the beginning of the first chorus. Some vocal lines get additional harmony for emphasis. 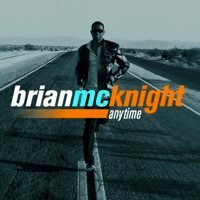 Brian uses his very versatile voice to bring a lot of melodic ad libs that keep the original melody, sung in the first verse, from getting too predictable or repetitive. There’s a striking contrast between robotic, sequenced elements (the drum loop, principally) and very organic elements (the natural piano, the noodling wah guitar). Then, to glue it all together, there are some synth pads that add warmth and continuity. The wah guitar in the background is constantly noodling, but always off in a corner. It never distracts, but it adds a layer of detail. It also pans to the extreme ends of the stereo spectrum, and moves by phrase. Perhaps it represents the aimless and frustrated heart of the hearbreak-ee, pacing around the house not knowing what to do. There’s a very unusual weird metallic synth playing a short countermelody which makes its appearance in a select few places. One notable example is at 1:25. To be honest, this is the only part of the production that sticks out to me, and arguably might be out of place. Despite the two-measure loop concept, there’s layers of orchestration that add and subtract with each new section of the song. For example, the transition from the first verse to the first chorus (around 0:59 in the version included above) adds a synth pad that makes the chorus significantly fuller than the verse that preceded it. But when the first chorus is over, the fullness leaves and we’re back to a more bare orchestration (drum loop, piano riff, and the quiet wah guitar) behind the lead vocal. There are very occasional deviations from the two-measure loop, but they’re subtle. Listen to the last chord leading into the second chorus (the surprise F7 that gets inserted over “how I wish that you would call to say” at 1:56). Likewise, there’s a surprise chord (Db) in the parallel location leading into the bridge at 2:35. The song would be no less strong without them, yet their presence adds a little of a push-off into the following section. The end of the bridge leads back to the chorus (3:04) and for me, this is the real test of the song. After listening for three minutes and getting the full verse-chorus-verse-chorus-bridge cycle, am I tired of that incessant two-measure motif? My answer is an emphatic no. This chorus is compelling and strong and memorable. After the slight detour of the bridge, I welcome the chorus back and want more of it. What makes the chorus so strong, even though harmonically it’s identical to every other section of the song? That’s a hard question to answer. It’s a memorably penetrating and personal lyric (“Do I ever cross your mind, anytime? Do you ever wake up reaching out for me? I miss you”) but its melody isn’t significantly different than the verse. “Anytime” is definitely an unconventional song. To me, it’s the work of a genius, who has found a way to express a very heart-wrenching lyric concept cloaked in a musical setting that perfectly complements it. The music tugs at you, tediously and incessantly, much as heartbreak itself does.